Park on the north side of the facility; use the Wilson Street entrance and walk down the hallway all the way to the end where the cafeteria is located. Batavia is located approximately 45 west of downtown Chicago. Refunds will be made until Jan 28 11:59pm. Check here for updates if the weather looks threatening. TENTATIVE subject to change. Be sure to check back the week before the event for updated information. If 10 or more teams are registered at each level of a blended event (Middle School and High School) the Excellence Award must be offered at each level. The total number of state qualifying spots will increase by one. State Qualifying Spots are initially assigned based on the capacity of the event. After registration closes, and before the event, spots may be adjusted to reflect the number of teams registered for the event according to the table above. Qualifying Spots are assigned by the REC Foundation. The assignments are calculated based on the number of spots available for State Championship, the number and size of qualfying events in the State, and the historical double-qualification rates for the State. Questions on State Qualifying spot assignments may be directed to your REC Foundation Regional Support Manager Bill Ryno by email at: bill_ryno@roboticseducation.org. All teams up to 32 at an event will compete in the Elimination Rounds. All teams at an event are elibible for Alliance Selection, not just the top 32-ranked teams. 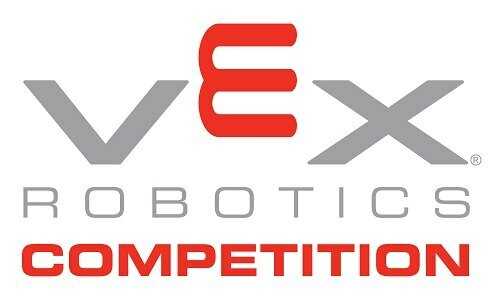 If there are an odd number of teams, unfortunately the last team will not be able to compete in the Elimination Rounds. Refer to the Documents tab for a PDF of the 16-alliance elimination bracket. If an event has fewer than 16 alliances, the higher-seed alliances that do not have an opponent in their bracket receive a bye. The Tournament Manager software automatically calculates the elimination brackets for the number of alliances competing. Following the 2018-19 Qualifying Criteria, Finals Alliances are 2 teams. Finals matches are determined by the winner of one match. Ties will be replayed until a winner is determined. Event Partners may run elimination brackets in any legal configuration they wish, but are encouraged to follow the standard for the State. 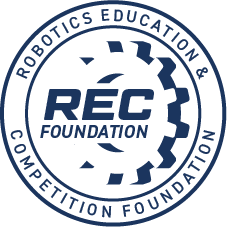 Questions on Elimination Brackets may be directed to your REC Foundation Regional Support Manager Bill Ryno by email at: bill_ryno@roboticseducation.org.